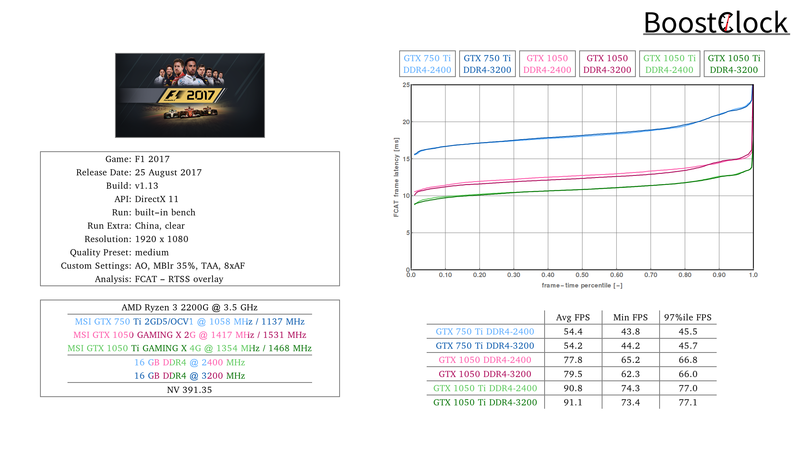 Is there any benefit of running higher clocked memory modules when pairing the Ryzen 3 2200G with entry level dGPUs? 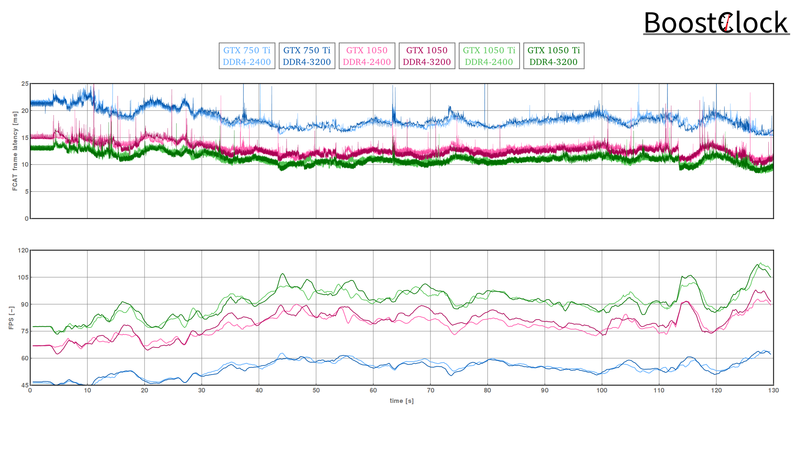 On the back of a thrilling Chinese GP the GTX 750 Ti, 1050 and 1050 Ti completed the first lap of the race in Codemasters F1 2017 with both 2400 MHz and 3200 MHz memory clocks. 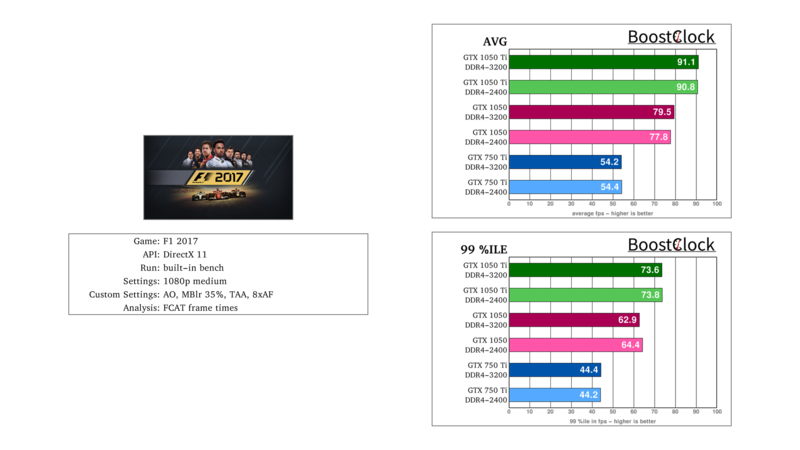 The results suggest that one should be fine with 2400 MHz DDR4 DRAM modules with F1 2017. 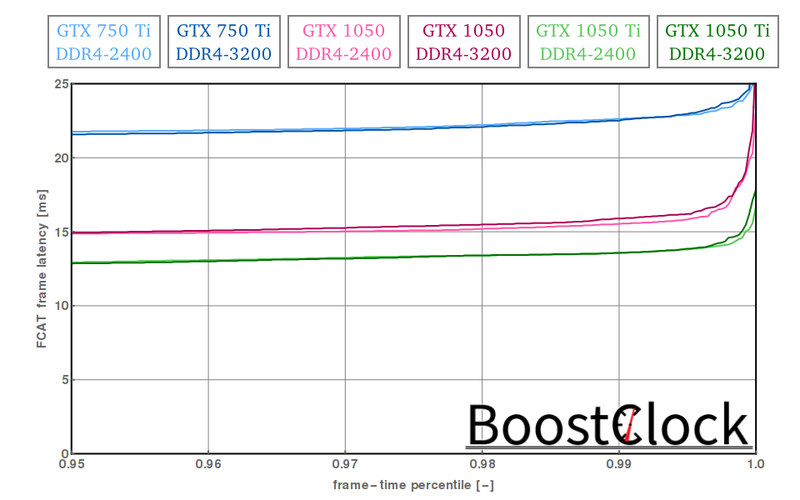 Average FPS results are the same and frame times aren't smoother either - medium setting was used so that the dGPUs can reach higher frame rate and consequently the CPU is hit harder. You can easily go for higher visual fidelity with the GTX 1050 Ti.